Treat your Ram truck or van right: bring it into Rockie Williams' Premier Dodge Chrysler Jeep Ram for regular maintenance. Our Ram service center is your top choice for Ram maintenance and repairs near Nashville, Tennessee. That's because as your local Ram dealership, you can count on us to provide you with exceptional customer service, along with a fantastic selection of Mopar parts and accessories to help keep your Ram repair job on track. Plus, our Ram mechanics work with Ram vehicles all day long, which means they are the experts when it comes to diagnosing and repairing everything from your brakes to your timing belt. Give us a call to learn more about the Ram services we offer in the Nashville, TN area. Service your Ram vehicle at your trusted Nashville, TN Ram dealership. 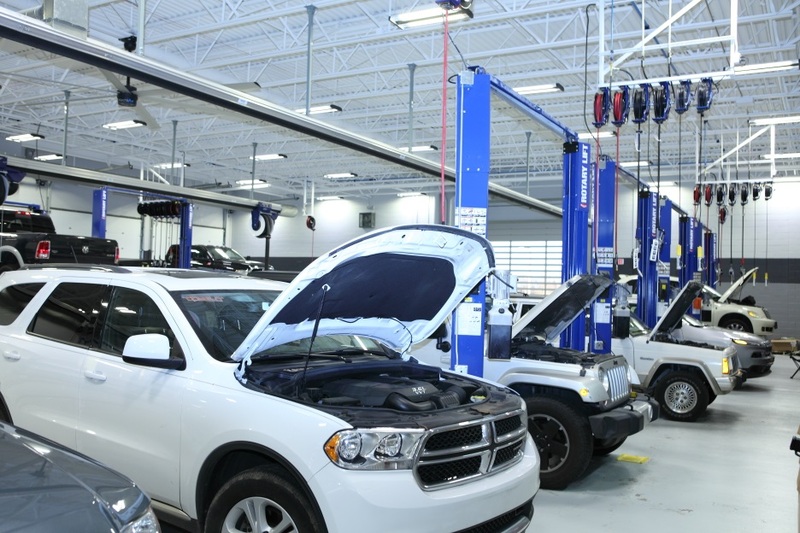 Whether it's time for your 30K service appointment or you have a serious problem with your engine, bring your Ram truck or van into the auto shop at Rockie Williams' Premier Dodge Chrysler Jeep Ram. We get Ram drivers near Nashville, TN back on the road in no time. For routine Ram maintenance like oil changes, brake service, fluid flushes, and headlight changes, come to our Mopar Express Lane. We'll get you in and out of the shop and back on the road before you know it. No appointment needed! Give us a call to schedule more complicated repair jobs, whether that's tuning the suspension on your Ram 1500 truck or customizing your Ram 2500 truck. Make your next appointment for Ram service near Nashville, TN at Rockie Williams' Premier Dodge Chrysler Jeep Ram. While you wait for your Ram repairs and maintenance, enjoy our service lounge which offers a children's playroom and a 3,000-gallon aquarium. Just give us a call to make an appointment, or use our online scheduler if you prefer. Our commitment is to get you driving again as quickly as possible. Come see us today!